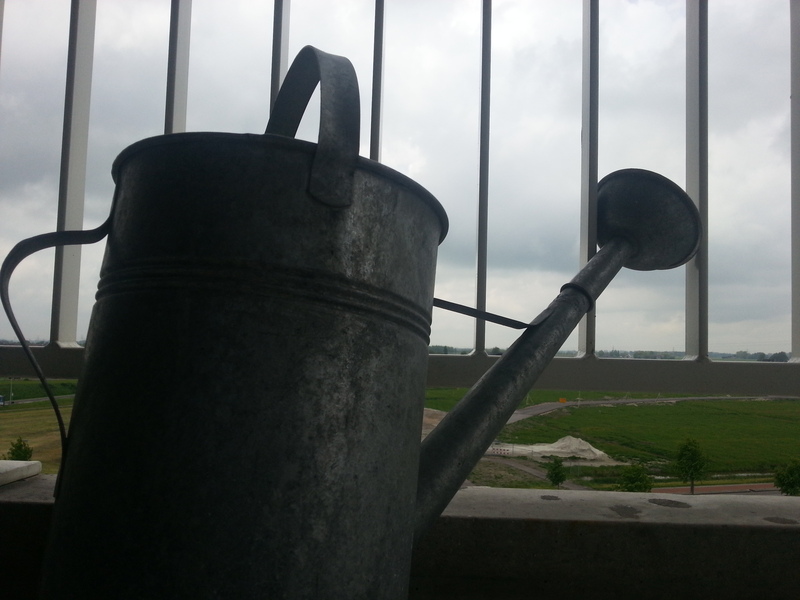 It’s eight thirty and I am standing on the balcony. This is what I see. 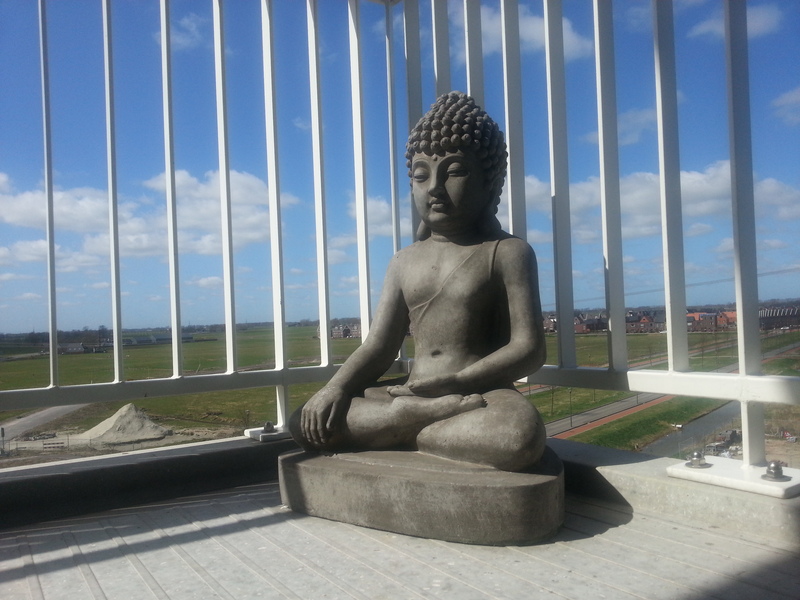 Today, the Buddha is at the beach. On the beach. 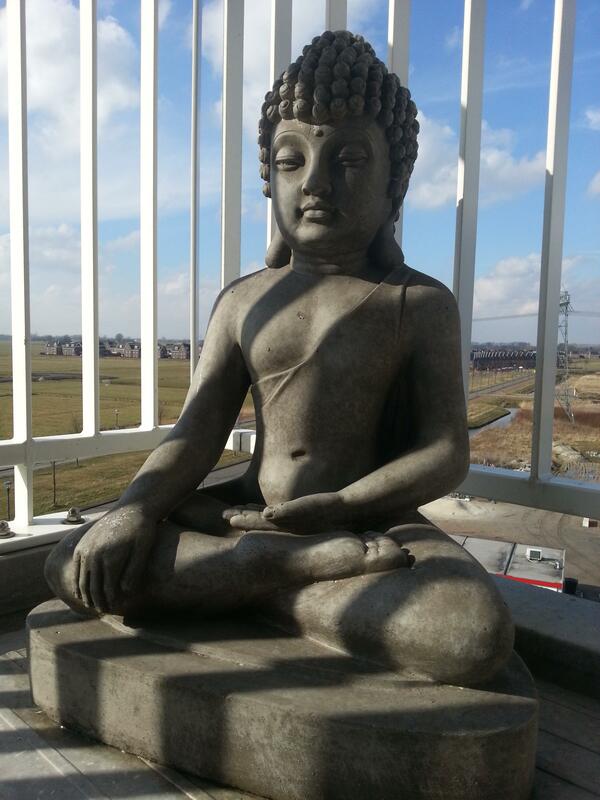 The Buddha just sits there, concretely, on the balcony. 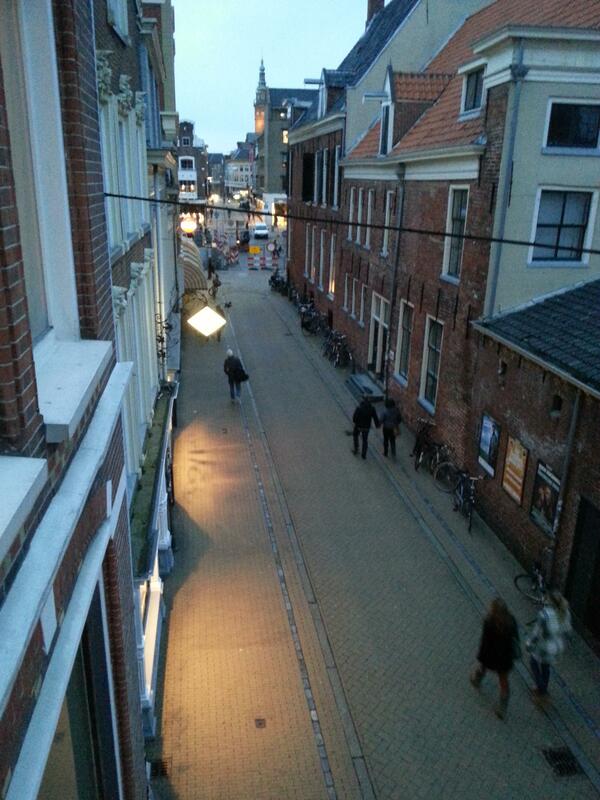 Looking down from the balcony on the Folkingestraat in the direction of the Vismarkt. 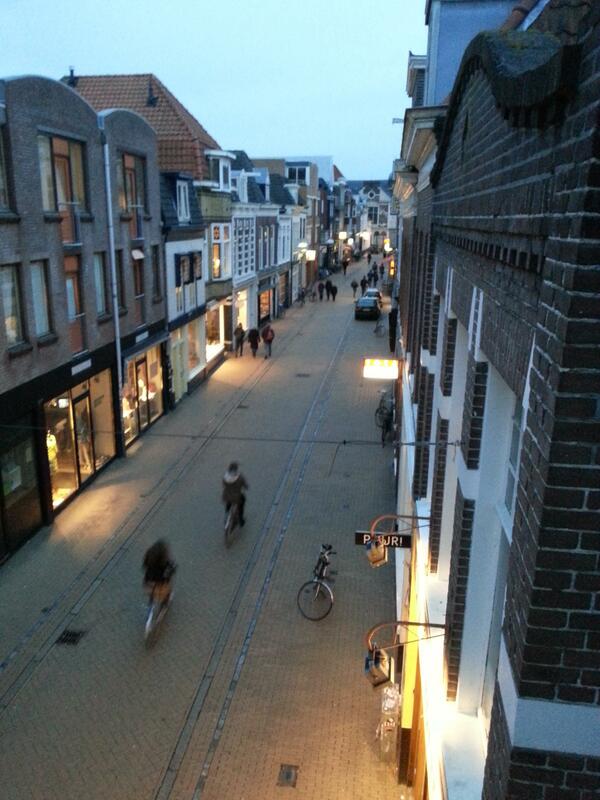 Looking down on the Folkingestraat in the direction of Zuiderdiep. Amazing how it is always busy in the Folkingestraat even at 7 o’clock on a Saturday-evening. The ever impressive sight from the balcony.